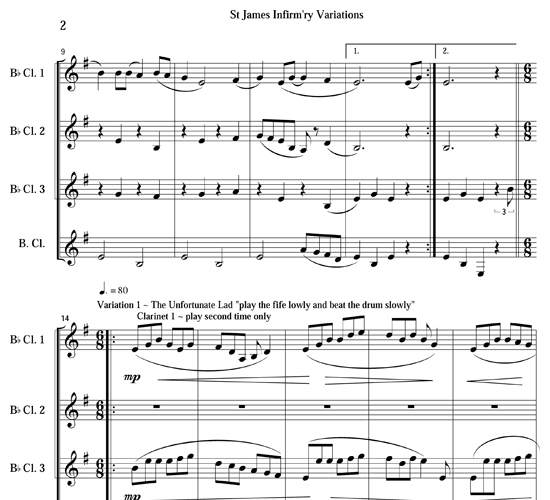 The Dixieland tune “St. 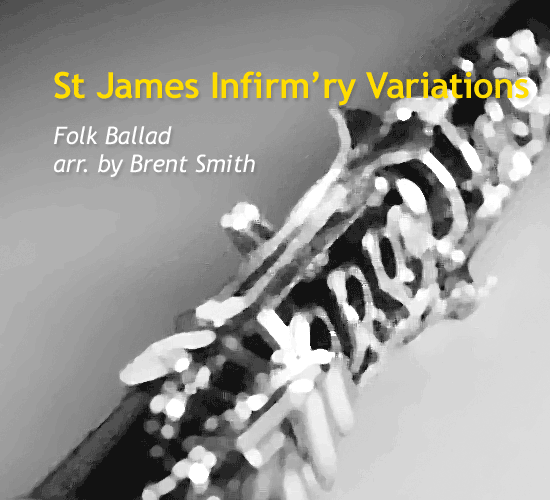 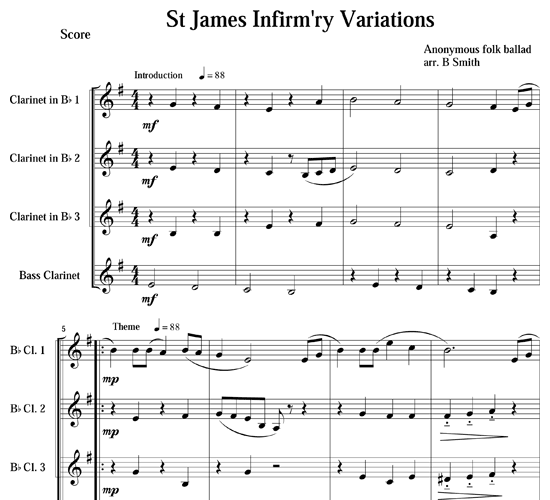 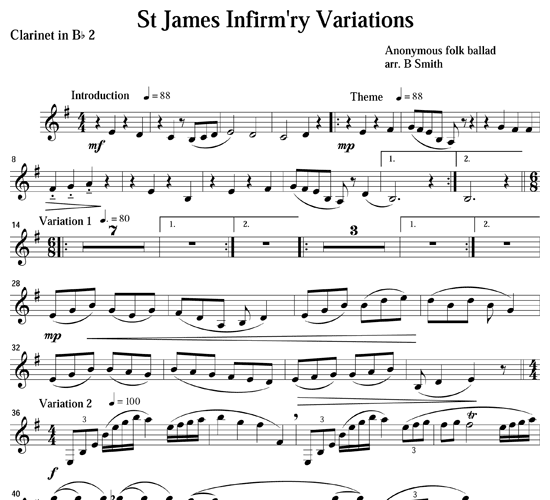 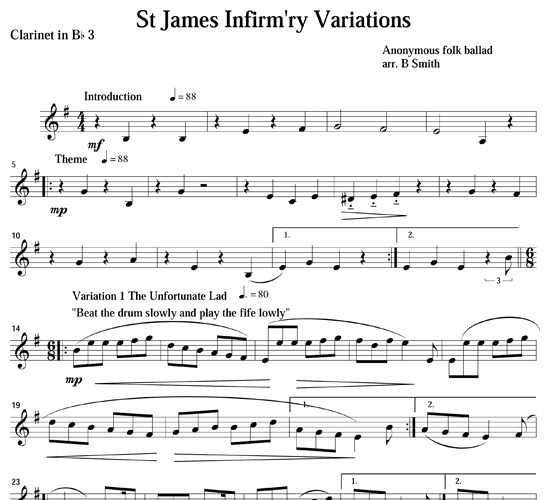 James Infirm'ry Blues” is a derivative of the ancient ballad “The Unfortunate Lad” which is probably from the 16th century. 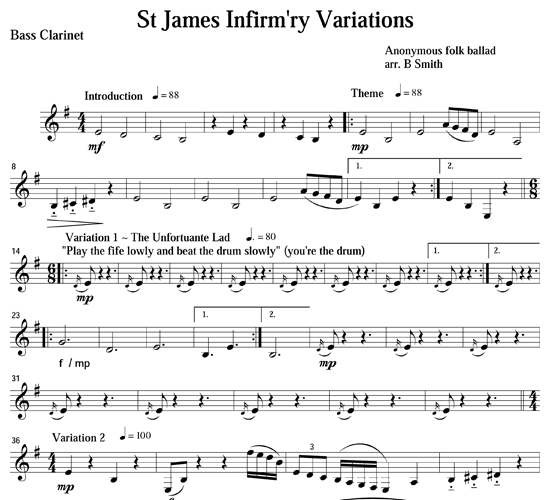 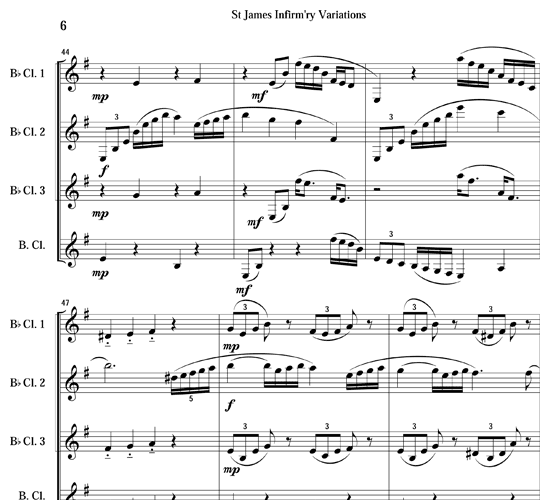 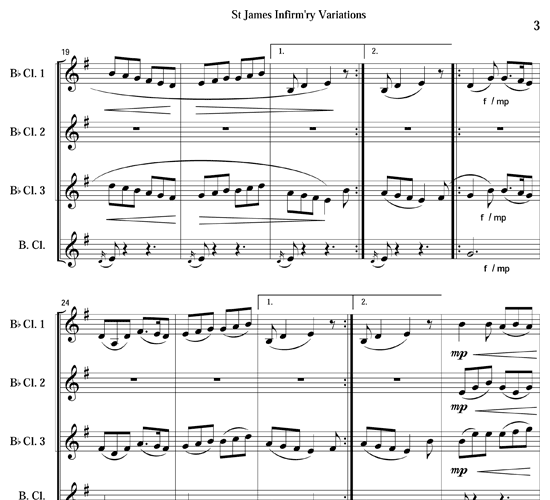 Here we have six classical variations based on the early 20th century theme made famous by Louis Armstrong. 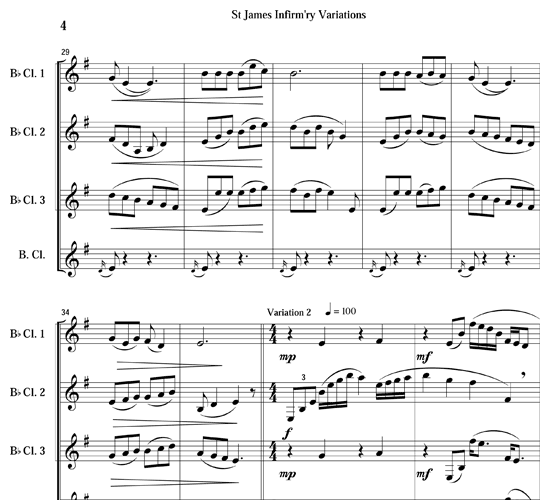 After much passing around of the theme, an enormous wave of sound resolves into a powerfully consonant cadence which then dissolves into a jazzy chord. 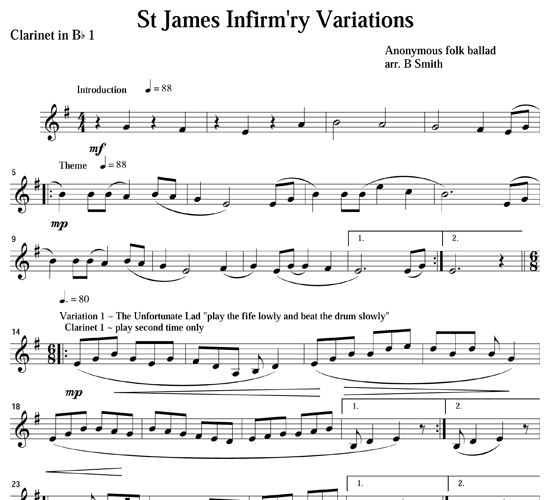 Great fun for players and listeners!